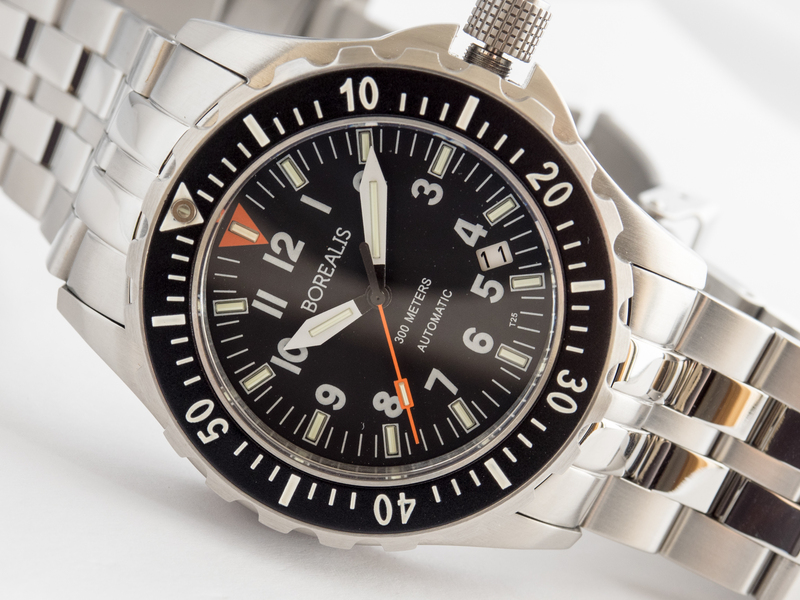 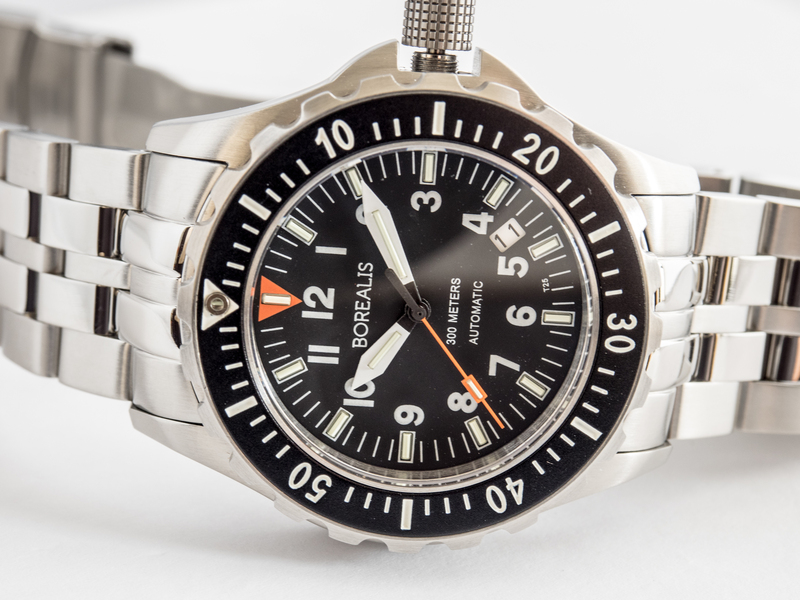 The Borealis Scout Sniper 300m Automatic Diver Watch is powered by a SII NH35 Automatic Movement (OEM version of Seiko 4R35) and features T25 tritium tubes manufactured by MB-Microtech AG in Switzerland. 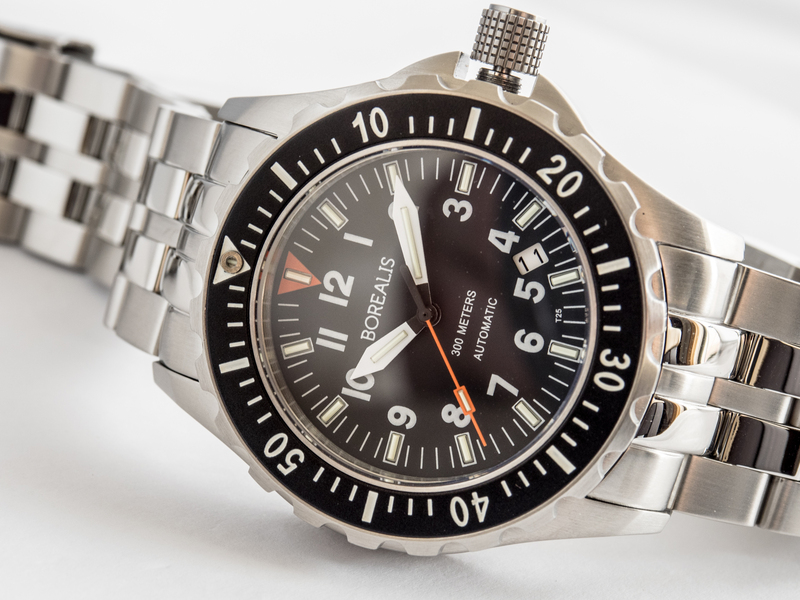 This diver watch features a 90 clicks unidirectional bezel with a tritium tube added at 12 o'clock lfor easier reading in darkness. 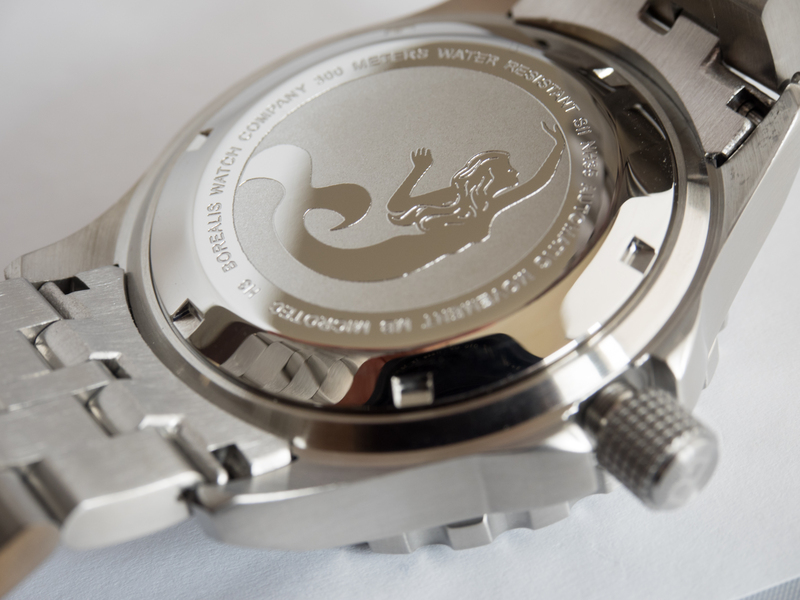 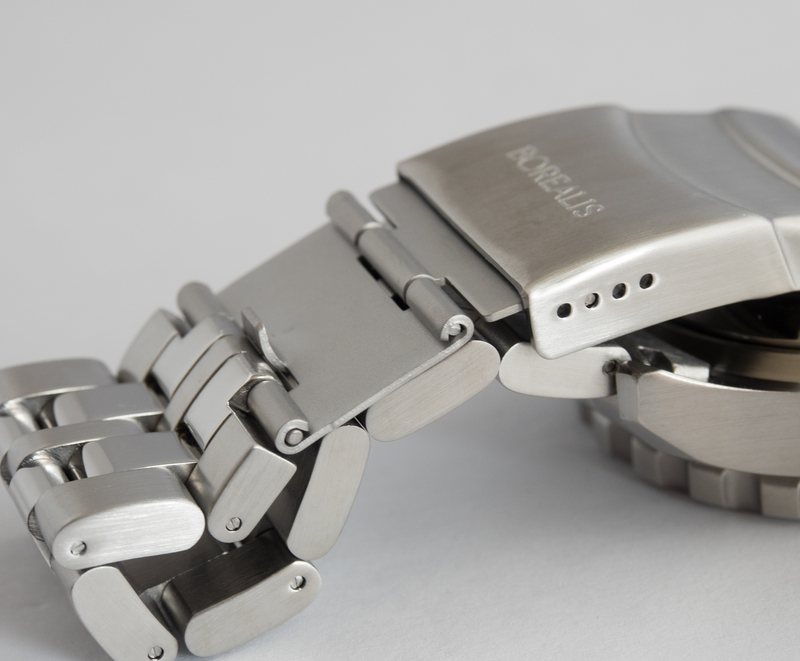 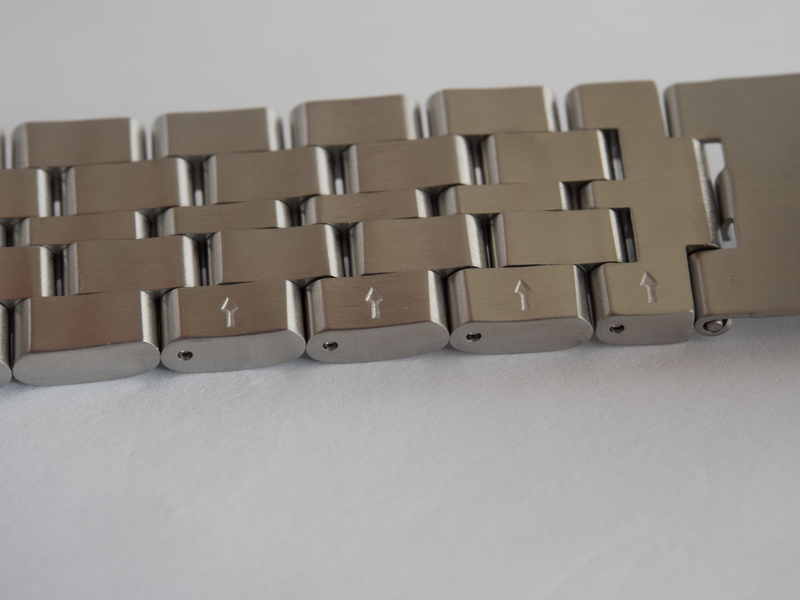 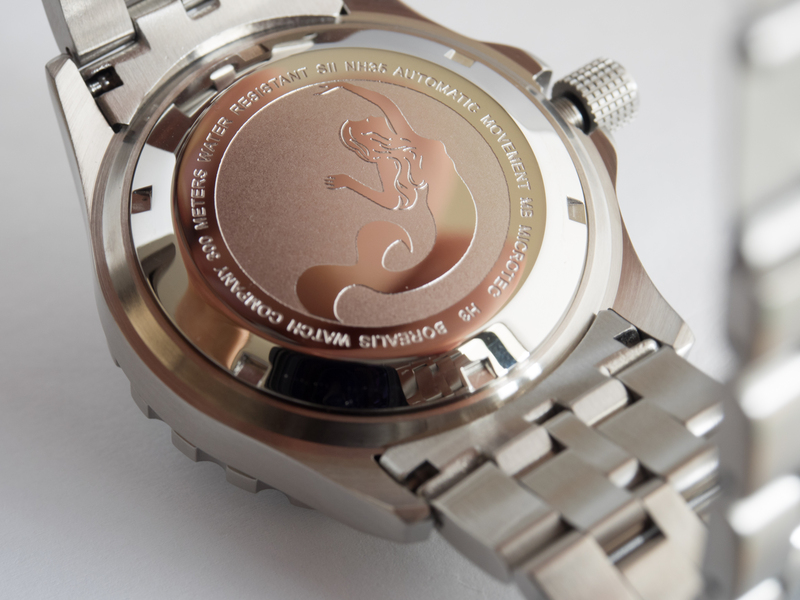 The watch case is built with 316L stainless steel as well as the bracelet and glass is made of sapphire crystal. 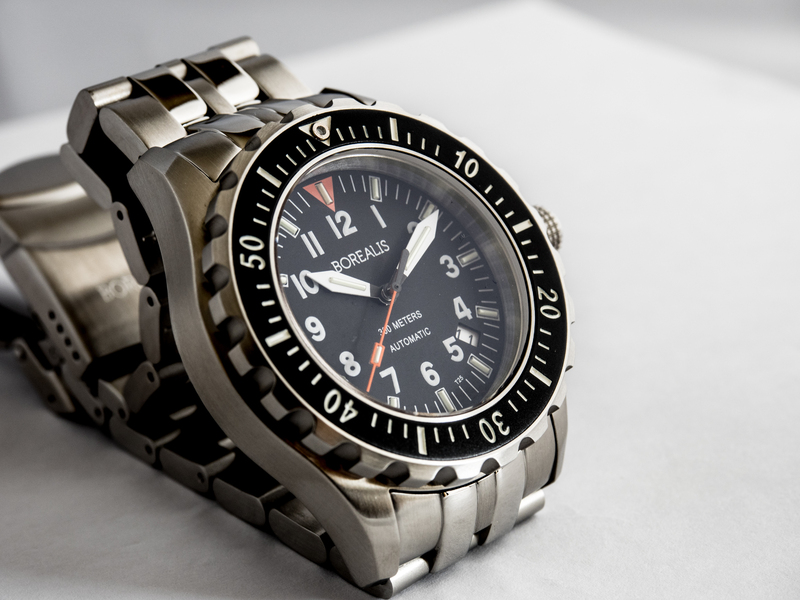 The case back of the Borealis Scout Sniper 300m Automatic Diver Watch with T25 tritium tubes features the already iconic Borealis' Mermaid. 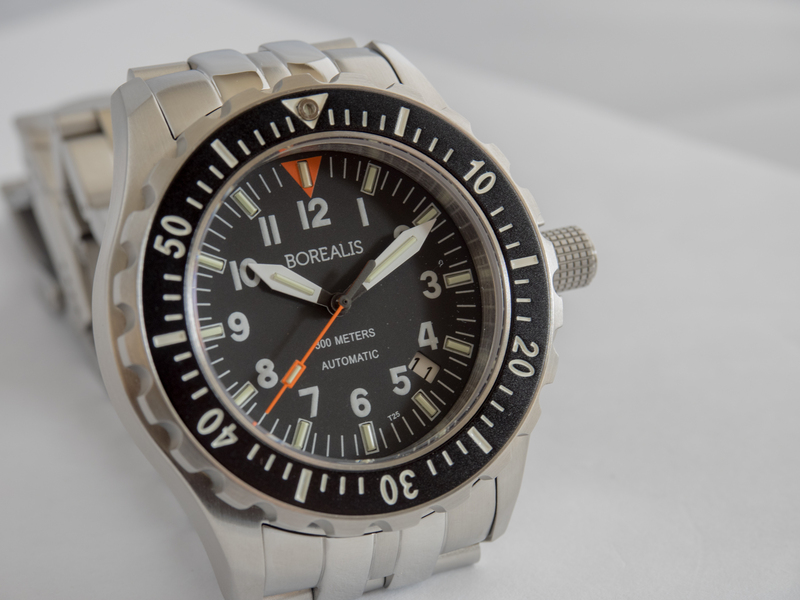 At its heart beats a SII NH35 automatic movement that has 24 jewels and oscilates at 3Hz or 21,600 vibrations per hour. 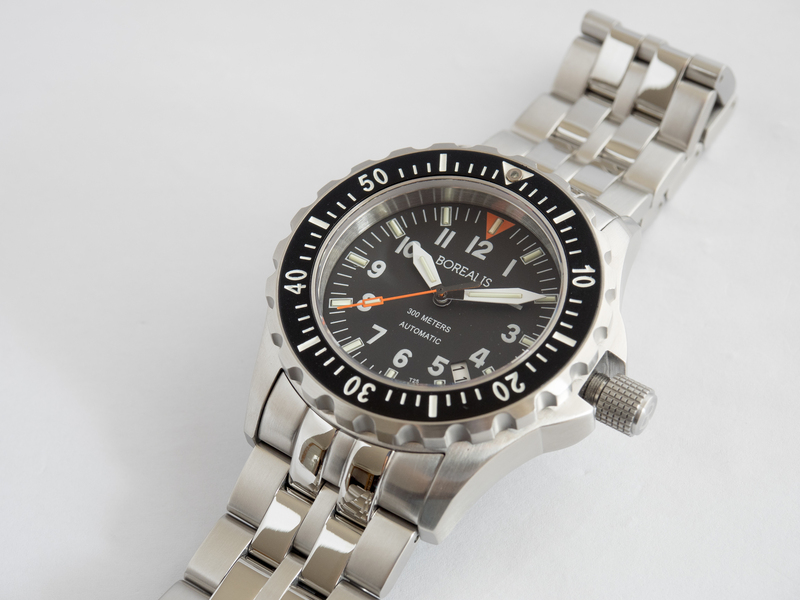 This is a very reliable movement manufactured by Seiko Instruments Inc featuring quick date correction and hacking seconds. 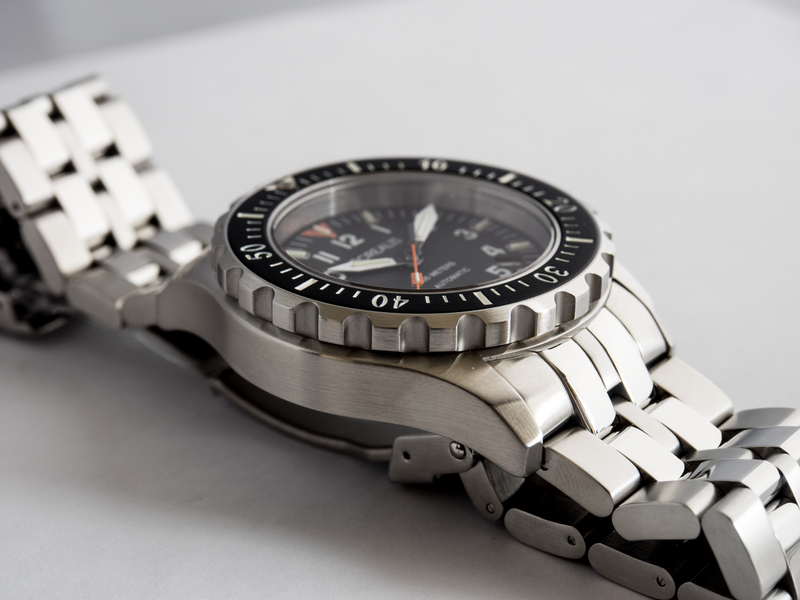 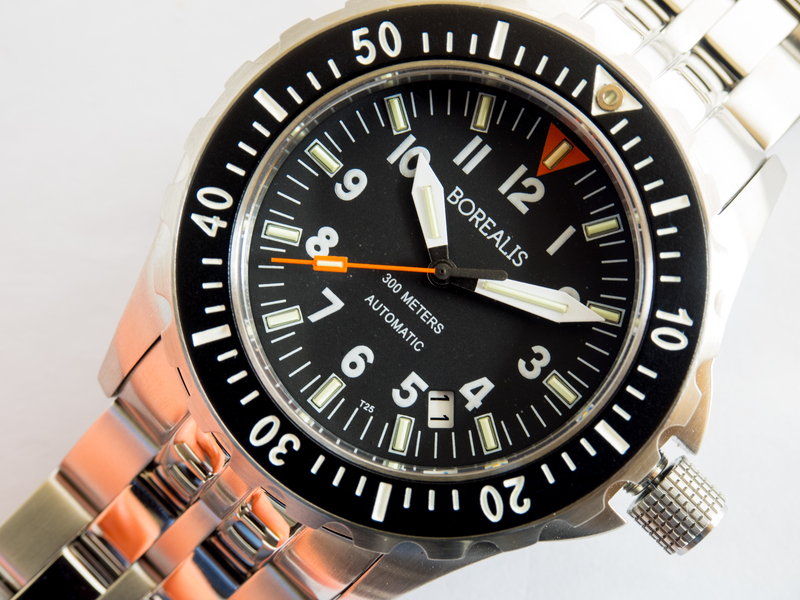 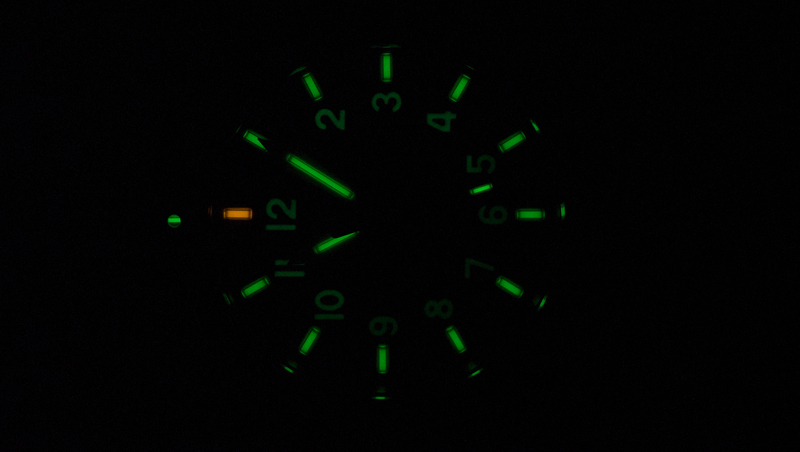 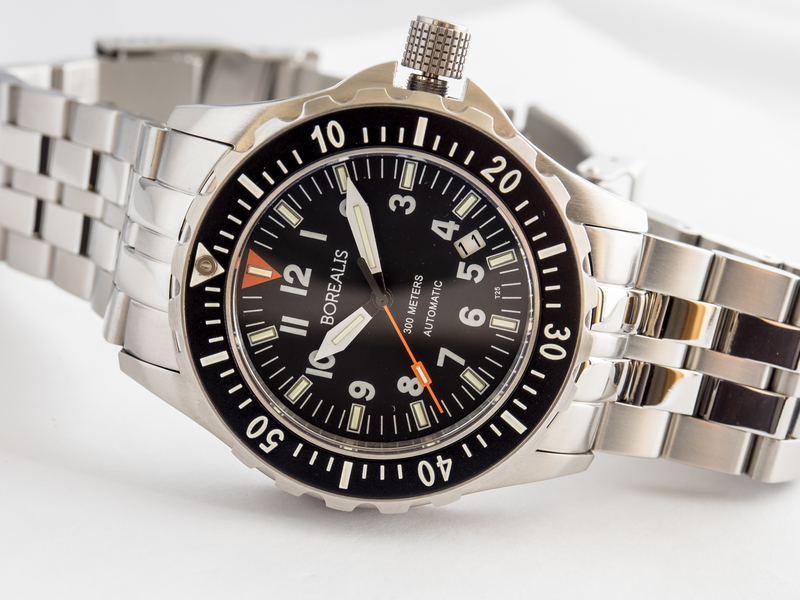 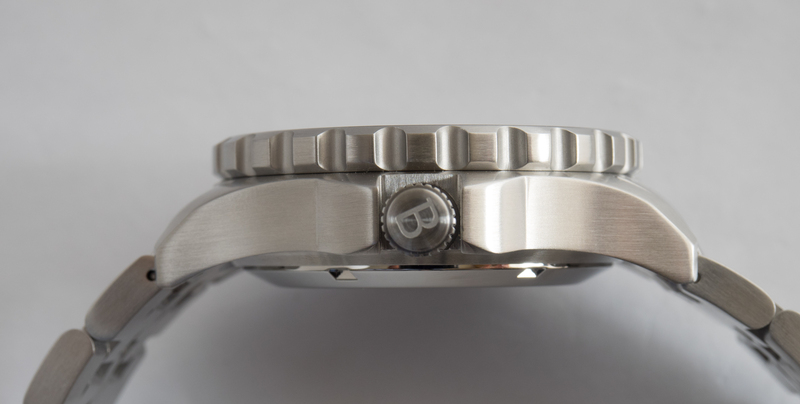 The Borealis Scout Sniper 300m Automatic NH35 Movement Diver Watch with T25 Tritium MB-MicroTech Tubes is expected to be available around August/September 2014.